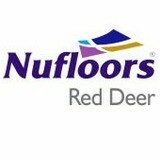 We are your full service specialty flooring store; from our showroom packed full of samples of every type and style of flooring, to inspiring display floors, to creative design ideas, free in-home measure, free quotations, expert and reliable installation service, and warrantees you can trust. We do it all for you. 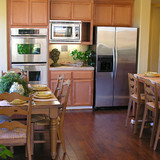 Shea Floors began a family tradition of flooring excellence in March of 1987. Over the past 25 years, we’ve grown and evolved to expand our products and services. 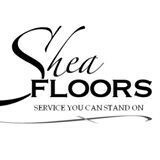 We changed the name of our company from Carpet Clearance Warehouse to Shea Floors to reflect the fact that we do much more than carpet. Whether its hardwood, carpet, linoleum, or tile Vantage Floorcoverings has the answers to all your flooring necessities. Vantage Floorcoverings has the solutions to complement any decor with top quality brand products that you can trust. Our wide selection of quality flooring will ensure that you have all your flooring needs met for your home, office or retail space. At Vantage Floorcoverings our team of qualified professionals will ensure that our customers shop with confidence by finding the right products at great prices. All products are professionally installed and serviced by Vantage Floorcoverings providing you with peace of mind. Visit Vantage Floorcoverings your local one stop flooring store TODAY, and shop with confidence! What kinds of services do hardwood flooring installation professionals in Clive, AB provide? Find hardwood floor experts in Clive, AB on Houzz. Search the Professionals section for Clive, AB hardwood flooring installers and dealers or browse Clive, AB photos of completed installations and look for the professional’s contact information.